for as little as $50 w / purchase. TMUH-67 $ 589. 67-68 Fastback Body MUY-2 $3899. for as little as $50 w / purchase. MUH-2 $ 389. On-Sale Just $299. MUH-67R $ 449. On-Sale Just $299. MUH-25D $ 389. 67-68 Pro Front End MUC-2P $1599. 67-68 Pro Package MUC-67P $2299. 67-68 One Piece Front End MUC-2 $1599. 67-68 Front Fenders pr. MUF-2P $ 698. 67-68 Doors pr. MUD-2P $ 698. 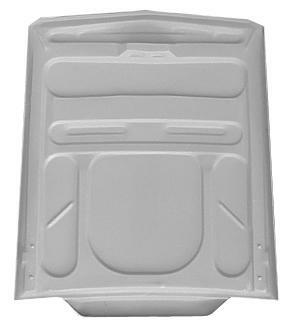 67-68 Trunk Lid - coupe MUT-3 $ 199. 67-68 Trunk Lid - fastback MUT-3F $ 199. 67-68 Front Bumper - shell MUB-3 $ 199. New 67-68 Cobra R hoods have just arrived. larger pic 67-68 Rear Bumper - shell MUB-40 $ 199. - Can be modified for use with latch. 1 of each clip in stock.